Bringing the kids to Comic-Con? 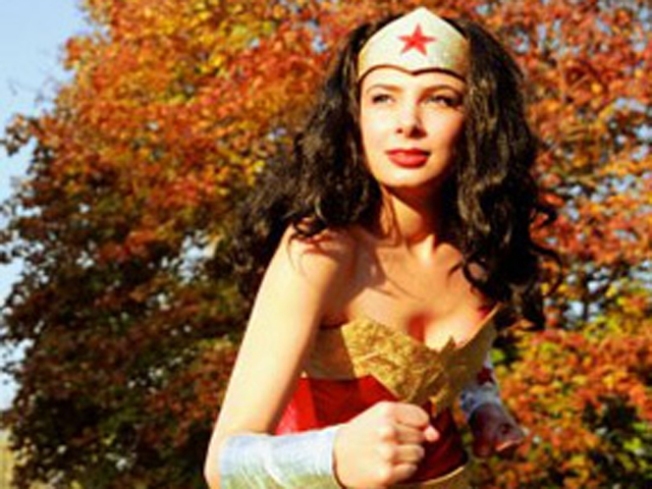 Prepare to transform yourself into Wonder Woman (costume not required, but always fun)! With all the excitement of Comic-Con, kids (and adults for that matter) can get a little out of control. The ladies of momlogic.com have put together a Comic-Con Survival Guide. Read on to ensure yourself a stress-free Comic-Con experience! Get your pass! -- Make sure you have your Comic-Con passes all set to go because they're sold out. Also, beware of buying passes on eBay or Craigslist -- they may be fakes. Familarize yourself with the area -- Check out this map to get the lay of the land. Wear comfortable shoes -- You will be doing a LOT of walking and will be wiped out by the end of the day, so it's essential to wear shoes you can walk around and be comfortable in. Take the train -- There is plenty of public transportation available. Avoid the crazy traffic and parking hassle and take the trolley or train. Bring $$$ -- Many of the vendors only take cash, so make sure to bring plenty of it. There are ATM's there, but they will probably charge a hefty fee. Get a babysitter -- Good news! This year, Comic-Con is providing childcare, courtesy of Kiddie Corp. Bag that Schwag! -- Bring a large bag(s) for all the free goodies you'll score. Stay hydrated -- Make sure to bring plenty of water and snacks. After walking around all day you and the kids will be thirsty and famished. There are also plenty of places to get food there. Go postal -- If you're from out of town, there is a postal/business center on-site to mail your things home. Meet and Greet -- Designate a meeting place somewhere in case you get lost or separated from each other. If you have them, bring walkie talkies or cell phones to keep in touch. And, most importantly, be safe and have fun! Like this list? Download and print: Mom-a-Con: Comic-Con Survival Guide. Click here to read more tips on momogic.com. Have more survival tips you'd like to share? Add them to the Momlogic community.